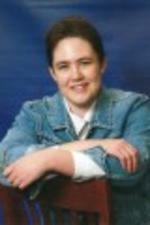 Posted on May 27, 2014 at 10:00:00 am by Louisa D.
If you’ve ever driven north on Spy Run Avenue, you may have seen the Old Fort with its high walls and small gun ports. Curious to know what’s inside? 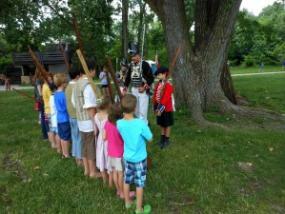 Why not stop by and experience the Siege of Fort Wayne 1812 on June 7 and 8? 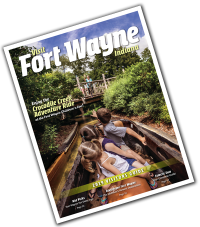 The Siege of Fort Wayne is an annual event that commemorates the important role that frontier Fort Wayne played for the United States during the War of 1812. At that time, British forces were attacking American forts and citizens throughout the Ohio River valley. Fort Dearborn (Chicago) surrendered and suffered a massacre, leaving Fort Wayne as a sole outpost on the American front. During the summer of 1812, territorial conditions surrounding Fort Wayne deteriorated until the middle of August. The fort with its 85 men was put under siege by a group of about 500 American Indians who had surrounded the garrison and its outbuildings. The Americans were under orders not to fire upon the enemy, although several soldiers perished from enemy attacks. By the first of September, sutler (merchant) William Oliver and a group of friendly Indians brought word that William Henry Harrison was marching to the rescue. Interestingly, no great battle was held at the Fort during the siege. When Harrison arrived with 2,500 troops, the attacking forces disappeared into the woods and the American fort was liberated. Harrison camped at the fort and waited while another American commander, James Winchester, stopped British troops who had been traveling up the Maumee River with the intent of capturing Fort Wayne. Harrison would later go on to become President of the United States and Fort Wayne would be decommissioned as a military outpost in 1819. 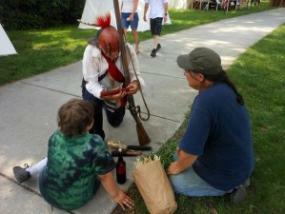 The modern Siege of Fort Wayne 1812 will focus on demonstrating frontier life during the early nineteenth century. During this event, the buildings of Old Fort Wayne will be opened so that visitors can explore the different quarters of the officers and the enlisted men. 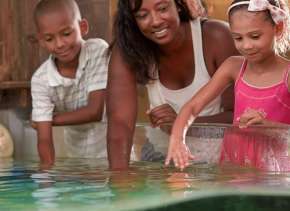 Guided tours will be offered on both Saturday and Sunday. Visitors should check at the Mercantile for specific tour times. 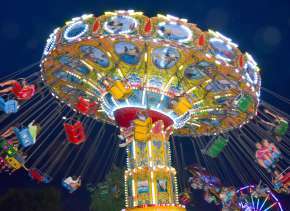 Artisans and demonstrators will be on hand to display early American crafts. 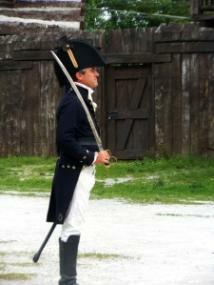 Costumed interpreters from the Society of the War of 1812 and members of the First U.S. Light Artillery will be at the Fort. Demonstrations of military tactics, skirmishes and battles will be held, as well as ‘mini militia drills’ for young attendees. According to publicist Kathleen O’Connell, there might even be a canoe attack on the garrison, since the river is less than a stone’s throw away from the fort walls. Although there is no recording of an attack by canoe of the Fort during the siege, historical re-enactments strive to present history as it happened in many places, not just at the site of the event. The Towpath Players will provide period music during the Siege, and visitors will be welcome to sit and listen. The Siege of Fort Wayne 1812 is an open air event that provides a great opportunity to explore. 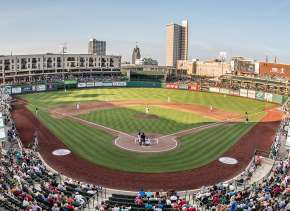 Whether you stop to ask a historian about her costume, take pictures from the second floor of a garrison balcony, or just stroll past the river, enjoying the green grass and fresh air, it’s a great excuse to spend a June weekend out and about in downtown Fort Wayne.